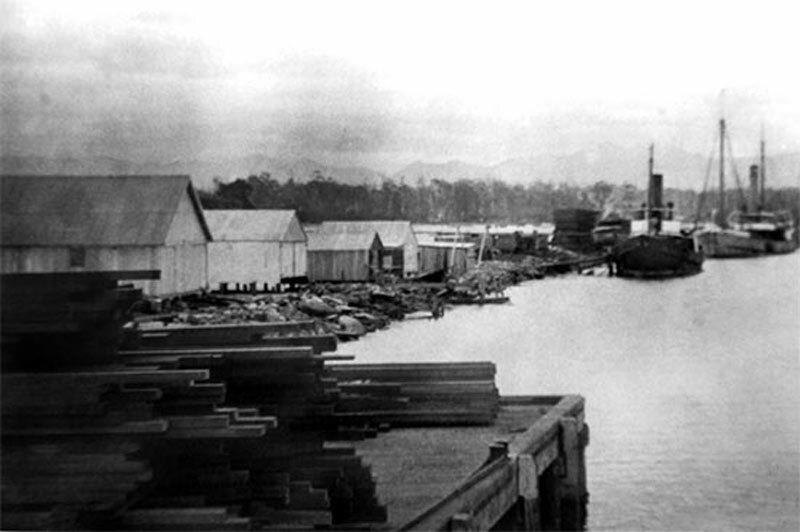 By 1880, Urunga had become a busy commercial port, crowded with sailing ships laden with Bellinger timber, and coastal steamers with their cargoes of local farm produce. Hundreds of passengers used the coastal steamers as their only means of getting to and from Sydney, braving the perils of the difficult bar crossing and the often storm-tossed voyage. Local shipyards built shallow-draught vessels that could more easily navigate the bar and by 1900 there was a weekly steamer service to Sydney, and a wide range of farm goods was sent to the Sydney markets from the port of Urunga, including butter, maize, fruit, hides, pigs, poultry, eggs, honey and an immense quantity of timber, both sawn and in the log. The breakwalls, the dredging and the expertise of the Pilots could never remove all the dangers and every voyage over the bar and out to sea was fraught with danger. There were many mishaps, strandings and wrecks caused by the shifting sands and the vagaries of wind, weather and tides, and the sands of the Urunga estuary are home to several lost ships.